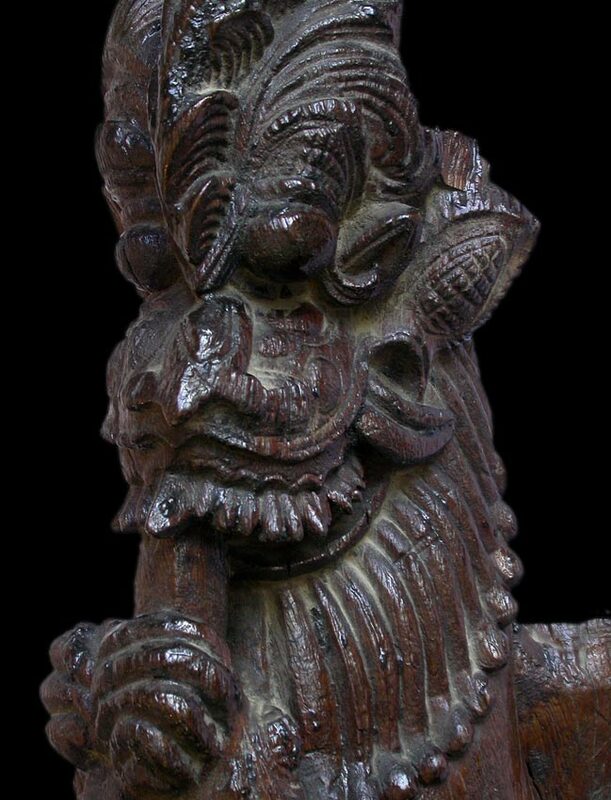 A rustic corbel strut in the form of a Yali Lion, a mythical creature often carved into pillars in many South India Hindu temples. Yali is portrayed as part elephant, part lion and part horse, though frequently also described as part lion and part griffin in the form of a leogryph. Here he is standing on two hind legs, with two front paws tightly gripping the root end of a banyan tree, happily feeding it to his mouth of two protuding fangs. 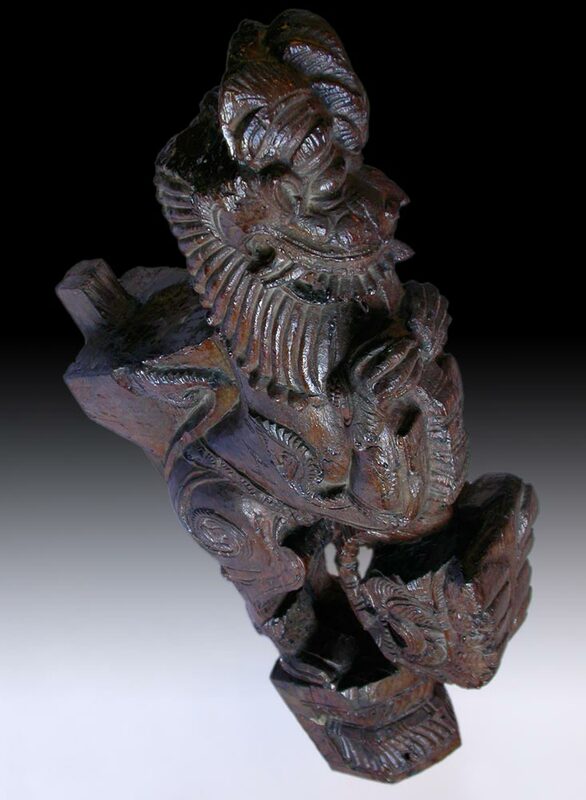 Along with two sleepy eyes and a large smile that convey gentleness and charm, the strength in the numinous presence of this aged wood carving is a direct reference to the thousand years old tradition of Hindu motif.